In partnership with our community, Woodland Park Zoo had an amazing year embodying our new mission to save wildlife and inspire everyone to make conservation a priority in their lives. Each story in this 2018 Impact Report demonstrates how you are making our mission possible. We will always be your portal to the wild and a green oasis nestled within an increasingly urbanized region. With your support, we are also becoming a model of how zoos will build upon our strong foundations to redefine ourselves for the 21st century. 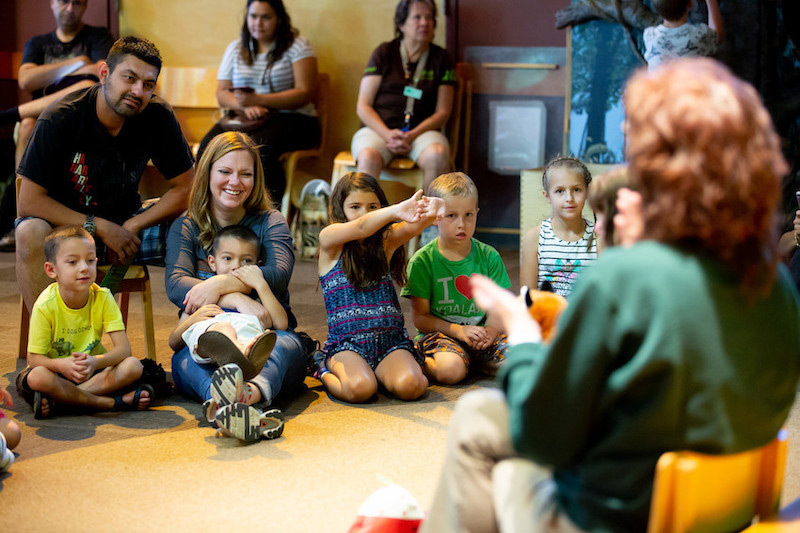 Our zoo has the largest access program of any organization in Washington state, which removes barriers for underserved youth and their families. Our transformational plan that you helped us create debuted in 2018 and has us doubling down on our commitment to ensure that we are everyone’s zoo, regardless of your background or abilities. All wildlife now relies on human care and our commitment to animal welfare is setting the standard for other zoos and aquariums. Our thriving animals and the extraordinary experiences they enable open new opportunities for our guests to create empathic connections with wildlife. Research led by Woodland Park Zoo is helping us understand and amplify how these connections are forged. As a result, we are learning how we can turn zoos and aquariums into empathy machines that lead people to take conservation actions that benefit every species, including ourselves. Our work is just beginning. I cannot wait to build this effort together with you in the coming years. We also took enormous strides in our ability to provide access to the zoo for everyone. The zoo doubled our Community Access Program which partners with hundreds of non-profit organizations throughout the state. We also led community outreach efforts to engage King County communities in citizen science. Through our Coexisting With Carnivores program, more than 1,000 Issaquah 6th graders helped field conservation scientists monitor and track sightings of native carnivores such as black bears, mountain lions, raccoons and coyotes while building STEM skills. We are on track to expand this program and other citizen science efforts in our Living Northwest Signature Program in 2019. Thanks to your generous support, Woodland Park Zoo broke records for attendance, access, volunteer support and charitable contributions. 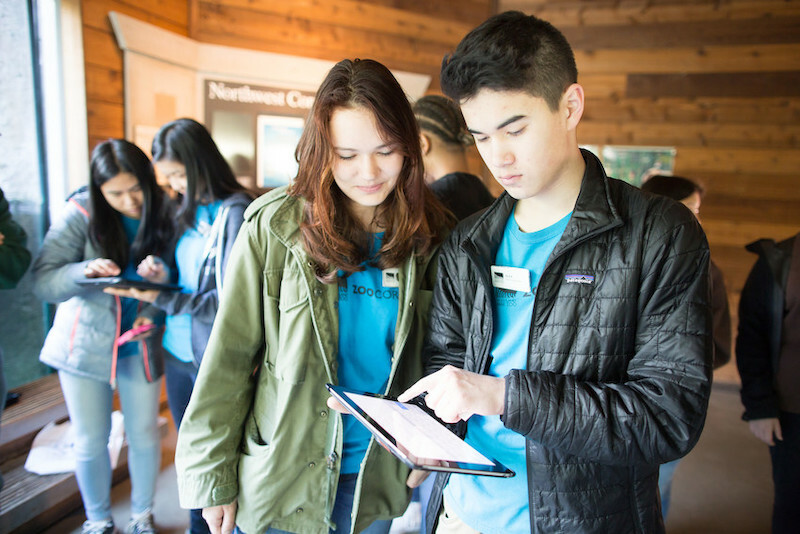 Everything we accomplished last year–from introducing Seattle to Taj and Glenn, our greater one-horned rhinos, to citizen scientists tracking wildlife in King County through our Otter Spotter website –originates with you, our community. On behalf of all of us at Woodland Park Zoo, thank you for helping us achieve our mission to save wildlife and inspire everyone to make conservation a priority in their lives. Our guests propelled Woodland Park Zoo to lead the national campaign among zoos and aquariums to keep the Endangered Species Act strong. Woodland Park Zoo smashed its goal by submitting public comments on behalf of 10,701 people. The geographic range was diverse, with nearly every state in the union represented in the final tally. Zoo staff were even inspired to take comment gathering sheets home and collected statements of support at parties, game nights, and other events—becoming ambassadors for the campaign outside of zoo grounds. 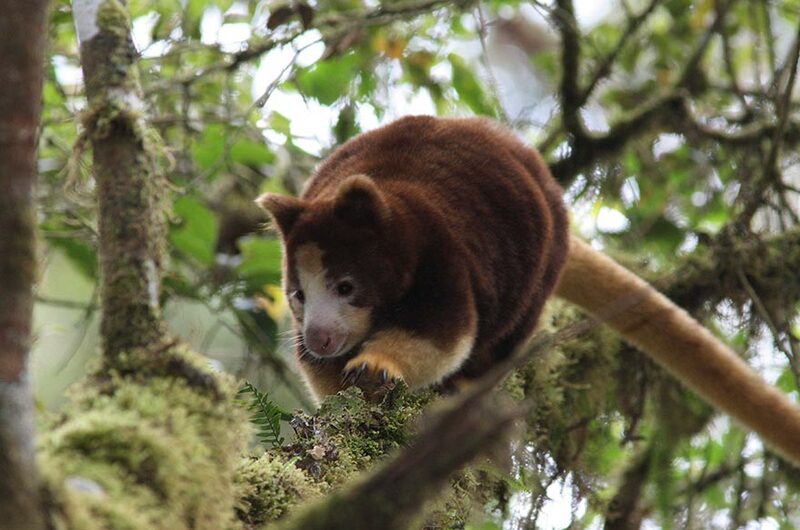 The innovative methodologies of Woodland Park Zoo’s Tree Kangaroo Conservation Program attracted competitive grant funding from Microsoft and National Geographic Society for research on Matschie’s tree kangaroos in Papua New Guinea. Woodland Park Zoo connected Seattle-based Caffe Vita coffee roasters with coffee growers in Papua New Guinea to create a market for their coffee and incentivize protecting critical habitat. Seattle Channel and PBS Nature highlighted the vital conservation work that Woodland Park Zoo is doing. PBS used their YouTube channel to debut Kangaroos and Coffee 360 VR, a virtual reality tour of Papua New Guinea’s pristine cloud forests. Woodland Park Zoo hosted Zoo Day 2018 for the Association of Zoos & Aquariums (AZA) Annual Conference in September. This year’s AZA Conference and Zoo Day broke records for attendance, international participation and sustainability. Through compostable dinnerware and utensils, carbon offsets provided in partnership with Forterra, and food packaging that was durable, compostable, or recyclable, Woodland Park Zoo set the bar for sustainability. For the first time, Zoo Day was carbon neutral and zero waste, modeling our utmost commitment to sustainability and creating a new standard for future AZA Conference hosts. 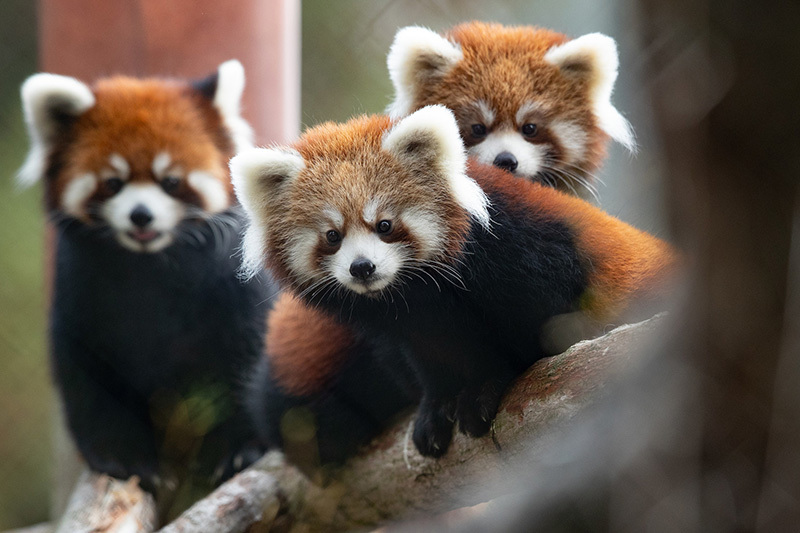 Thanks to Woodland Park Zoo’s incredible team of animal caretakers, we celebrated the first successful birth of red pandas at our zoo in 29 years. Zeya (named by her adoring community of fans through an online poll) and twin Ila were born in June to first-time mom Hazel and dad Yukiko. Through innovative “panda yoga” and a deep attentiveness to the needs of this outrageously cute species, we have high hopes for future breeding success into the future. Not to be outdone on the adorable scale, Carson our red panda starred in an Election Day livestream presented by Mozilla Firefox to the delight of thousands of viewers across the nation. Woodland Park Zoo is transforming as a 21st Century zoo. 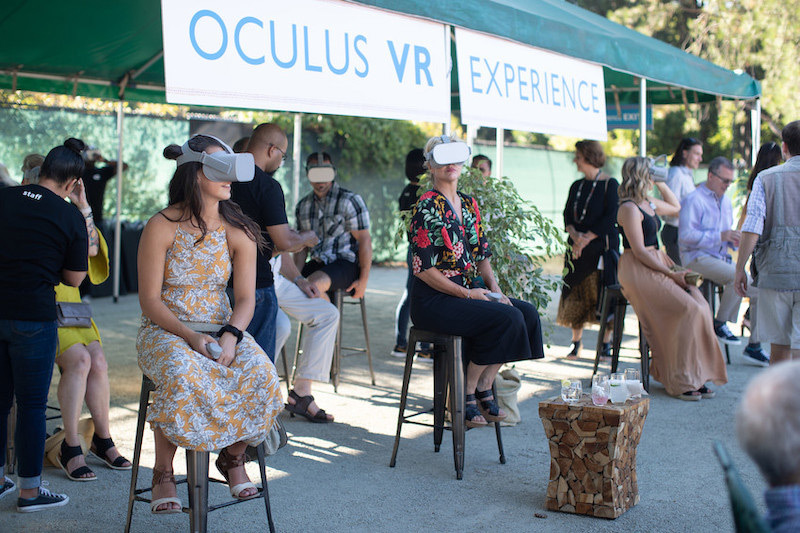 Partnering with technology company Oculus, we created a first-of-its kind virtual reality experience providing a 360-degree look behind the scenes with our greater one-horned rhinos Taj and Glenn, designed to build empathy for animals and motivate conservation action. The zoo also piloted Footmarks beacon technology to enable user-driven exploration of the zoo through multimedia content delivered to guests’ iPhone devices in the Assam Rhino Reserve exhibit. In collaboration with tech community partners, the zoo will continue to pioneer the role of technology in building empathy and advancing its potential for transcending time and distance in the informal learning space, making the zoo experience possible for everyone. Woodland Park Zoo strives to be a resource to everyone, especially those with barriers to the zoo experience. 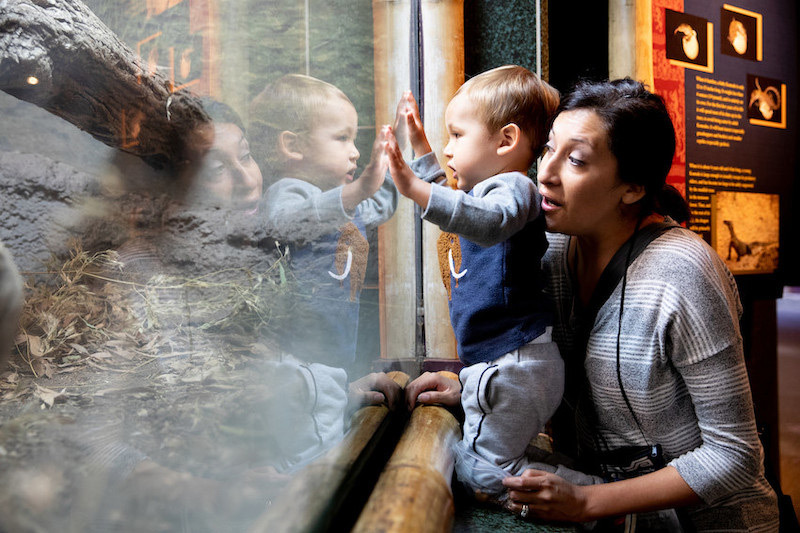 In 2018, we launched Zoo for All events, offering free admission to veterans, the special needs community, and low-income families. We also debuted the Seattle Sensory Garden designed to provide nature experiences for all ages and abilities. Thanks to a new program launched in 2018, 450+ low-income families were able to become members. Woodland Park Zoo is proud to offer the largest access program of any organization in Washington. 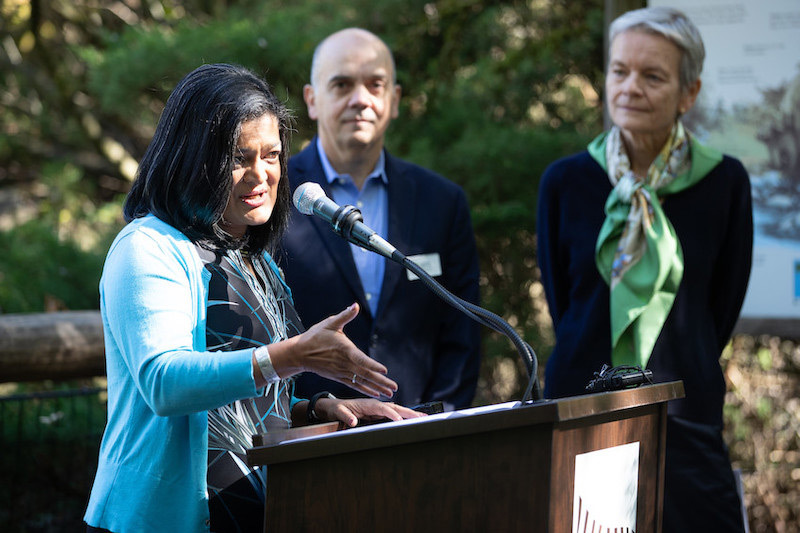 "The extraordinary support from our community in 2018 is a testament to the many ways Woodland Park Zoo changes lives across our Puget Sound region, the nation and the world. I’m proud that in 2018 we not only expanded the largest access program in Washington state, but also continued making our zoo a place where everyone is able to connect with nature, build empathy for animals and become empowered to join us in creating a sustainable future for wildlife and people." Last spring, the greater Seattle community had their first opportunity to get nose to nose with greater one-horned rhinos, Taj and Glenn. Born one day apart to different mothers, the two have become fast friends in our Assam Rhino Reserve. 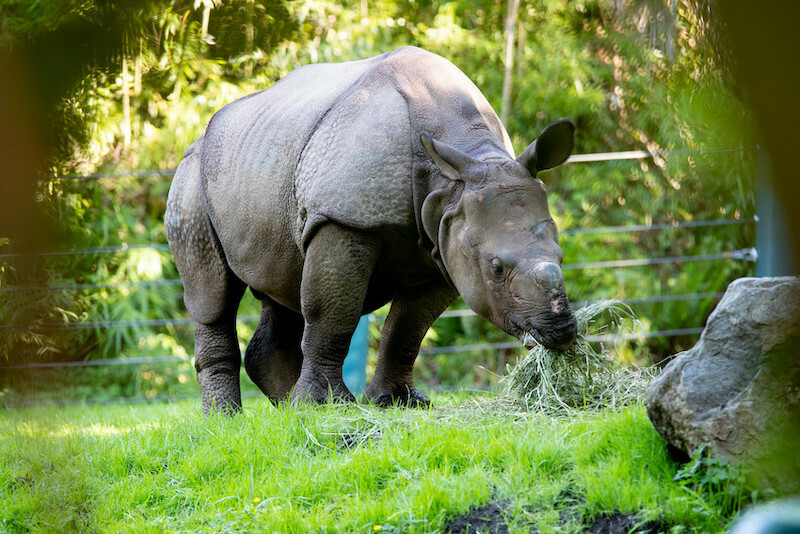 Woodland Park Zoo has partnered with the International Rhino Foundation, the Indian government, and other stakeholders to rebuild the rhino population in Manas National Park in Assam, India. Taj and Glenn quickly captured Seattle’s imagination; Taj was even featured in Seattle Met Magazine as a perfect party guest. At Woodland Park Zoo, these two rambunctious rhinos are educating guests about the illegal ivory trade and how to stop wildlife trafficking. ZooCorps Teen Volunteers are the Best - We Can Prove It! ZooCorps volunteers make everything that happens at Woodland Park Zoo possible. This year, Special Olympics USA Games highlighted our teens as one of their 2018 Game Changers. The Governor recognized Nyaila Flight, who has volunteered at Woodland Park Zoo since the 6th grade, with the 2018 Governor’s Volunteer Service Award in the teen category. Nyaila graduated from Cleveland High School and we wish her all the best at Arizona State University. ZooCorps youth are driving empowered communities. ZooCorps teens also developed and led Climate Action for All Day in July—highlighting sustainability features at the zoo and discussing strategies to effectively combat climate change. The community of Issaquah welcomed Woodland Park Zoo with open arms as we launched community-based elements of the Coexisting With Carnivores program and the Urban Carnivore Project in 2018. Issaquah residents were asked their views on the carnivores sharing their neighborhoods and parks: bears, bobcats, coyotes, cougars and raccoons. Most residents responded that they are proud to live in a community that includes local carnivores. Now teams of citizen scientists are gathering research data in their own backyards. High school student Manoj Sarathy collaborated with Woodland Park Zoo and Microsoft, programming Artificial Intelligence to help wildlife researchers speed up their wildlife camera data sorting process—saving thousands of work hours in the process! 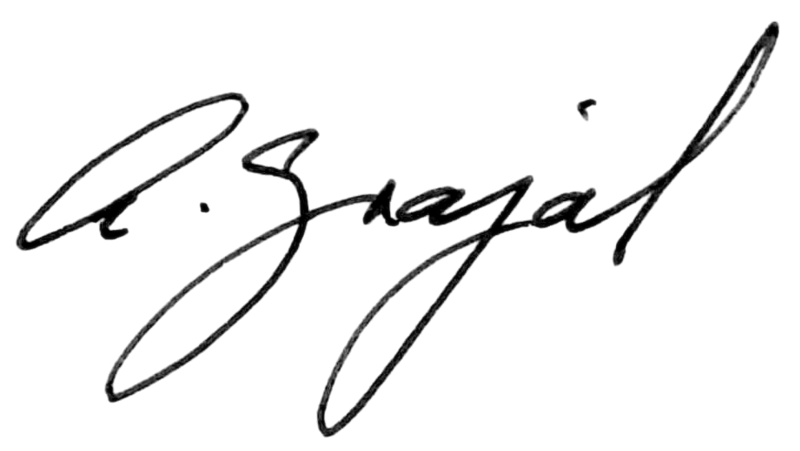 Philanthropy catalyzes our mission now and long into the future. As part of their extraordinary generosity, Woodland Park Zoo is honored to steward the Floyd and Delores Jones Endowed Fund. This endowment will benefit every animal in our care and millions of children, maintaining our naturalistic exhibits and providing educational programs about animals, habitats and ecosystems. 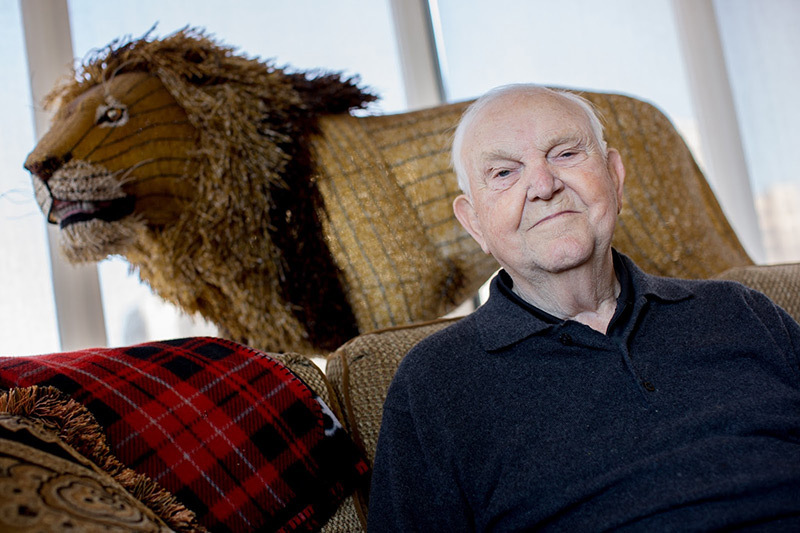 Floyd shared with us, “I didn’t get the chance to go to the zoo as a child, so I want to make it possible for as many children as I can to be able to go.” It is our honor to bear their legacy.